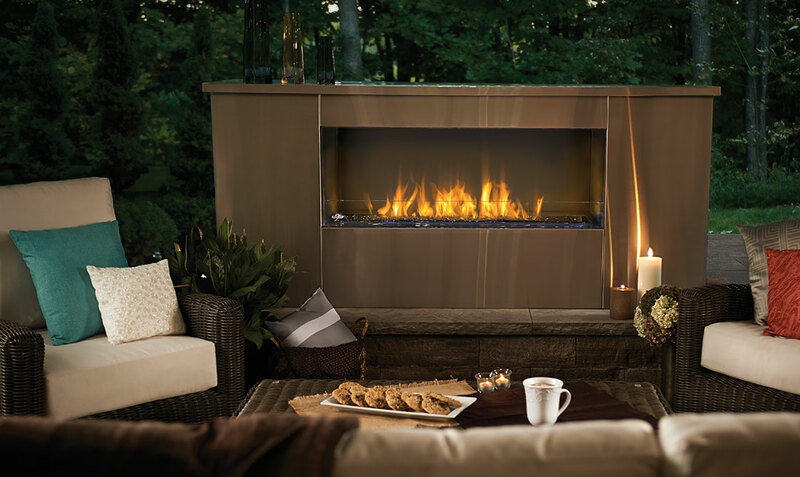 The Napoleon Galaxy™ Outdoor Gas Fireplace is truly unique with a linear, sleek modern design adding to the excitement of outdoor living. Napoleon’s Galaxy™ outdoor linear gas fireplace is also available as a See Thru (GSS48ST) unit and is constructed of weather resistant brushed stainless steel for maximum outdoor durability. The Galaxy™ features a glass wind deflector to ensure operation in windy conditions as well as a safety valve that turns the gas supply off if the flame goes out.